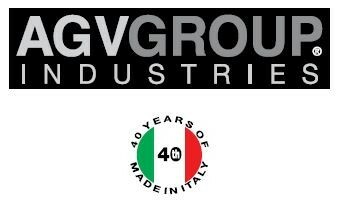 AgvGroup Industries is present on the International market of hairdressing furniture and equipment since more than 40 years. Born as local furniture producer, it has grown into an international producer able to implement different lines and brands covering the whole needs of hairdressing and beauty salons. Not only furniture, then, but electric and electronic equipments for hair drying and treatments; not only hairdressing but beauty too. Over these last 40 years the distribution network has developed too, covering in our days all the continents. Notwithstanding the growth, the core of the company has remained the Vezzosi family that has recruited and educated in the years staff of high level and skills to complete the company's competitive structure. In the last decade AgvGroup Industries has also cooperated with important international designers that have increased the company's success and fame. The actual company' s portfolio is made of 4 furniture brands for hairdressers, 1 equipment brand for hairdressers and 1 furniture and equipment brand for beauty parlors. Thanks to this product range wideness AgvGroup Industries is able to fulfill the most different customers ' requests in concern to both products and prices. AgvGroup Industries' last challenge has been to develop an eco-sustainable furniture brand able to match the hairdressers' and environment's request together : to offer, in detail, furniture respectful of the planet's issues but able to supply the hairdressers with comfort and design.